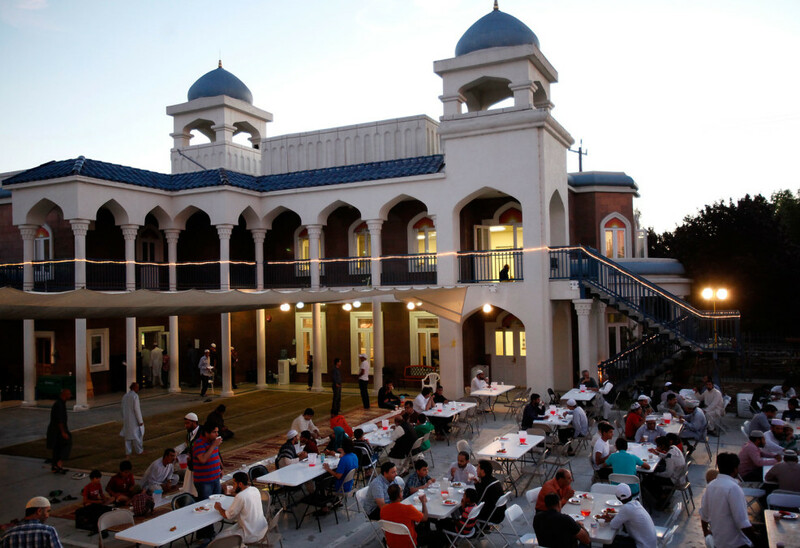 Men gather for iftar, the breaking of the fast, during Ramadan in June at the Islamic Society of East Bay mosque in Fremont, Calif. The mosque turned to a court-appointed arbitrator from outside the Muslim community to deal with turmoil in its management. As worshippers streamed out of the prayer hall, some beaming, clasping hands and congratulating each other on their victory, Waqar Khan was fuming. He sat on a mosque bench, absorbing his defeat. He was about to be removed as president of the Islamic Society of East Bay in Fremont, California, a suburban city in the shadow of Silicon Valley. 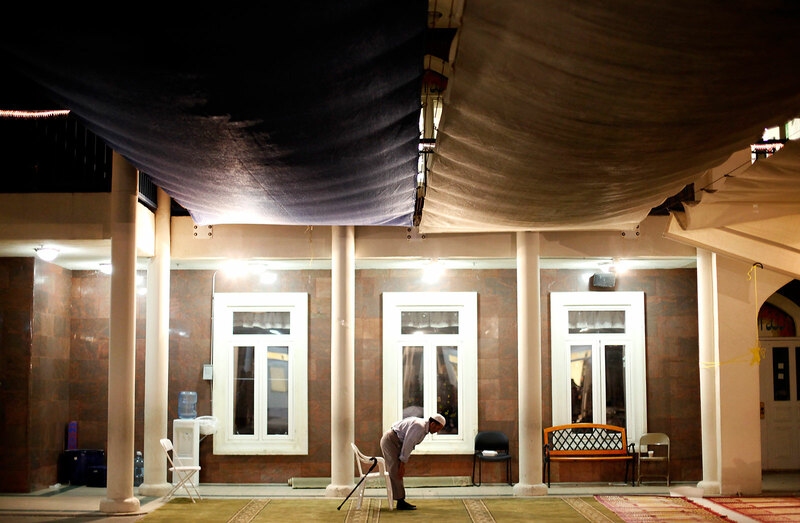 The mosque on Peace Terrace had just endured a grueling two years of turmoil. Accusations of corruption and mismanagement of the mosque were rampant on both sides. Rival members exchanged expletives on the grounds, which include an Islamic school for children. After one heated argument, a former board member had called the Fremont police on Khan’s brother. But on the May afternoon when Khan learned he was on his way out, he was not quite ready to give up. “We’re going to fight back for the mosque, for the community,” the real estate agent and contractor told Reveal. Infighting among religious leaders is a centuries-old problem – every denomination has its feuds. But what makes the Fremont case unusual is how it later was resolved: The mosque turned to a court-appointed arbitrator from outside the Muslim community. On May 11, David Meadows – an arbitrator appointed by an Alameda County Superior Court judge – issued an interim decision taking control away from Khan and the new board and handing it back to the mosque’s former leaders. But Khan hadn’t lost hope that the final decision would turn in his favor. Historically, the Muslim American community has kept its disputes private, sometimes turning to faith-based mediation. But as the number of mosques increases and Muslims integrate with mainstream America, conflicts involving clerics, congregations and mosques are seeping into secular courts from California to Texas and Florida. Intergenerational friction offers significant fodder for legal actions. U.S. mosques are evolving from traditional institutions run by the eldest community members to democratized nonprofits with bylaws and elections, even women in positions of power. Oral traditions have become written. Conflicts can become so heated that they turn criminal and erupt into violence: threats of physical assault, theft of donor funds, fraudulent property transfers and, at one mosque, allegations that terrorism reports are being trumped up by members as a weapon against rivals. Some Muslims say the American judicial system provides a voice for long-muzzled victims. In the Chicago area, for example, four women have accused a prominent 75-year-old Deobandi sect imam, Mohammed Abdullah Saleem, of sexual assault and abuse at the Institute of Islamic Education. Criminal charges and civil suits were filed in February. Saleem was arrested and released on bail. He has pleaded not guilty in the pending case and still prays at the Elgin, Illinois, mosque. Whether going to court is a sound option for mosques is a matter of debate – including among attorneys involved in current legal actions. Mogeeb Weiss, one of the lawyers representing former board members of the Fremont mosque, said it’s better for the community to resolve its issues outside the courts. The legal cases are causing rifts in the Muslim community, among families, sects and generations. Many Muslims note that the power plays cost not just members, but also donors and donations. Millions of dollars have been spent on attorneys’ fees and court cases instead of on charity and upkeep of mosques and Islamic schools. In Houston, a court battle over control of the $3.1 million Madina Masjid is exacerbating divisions and resentment among rival members of a missionary branch of Islam, Tablighi Jamaat, and a mystical Sufi sect, the Barelvis. The conflict has exploded online, with each side accusing the other of corruption and mismanagement. In the case, filed a year ago in Harris County, Texas, a former trustee is accusing the guardians of the mosque of profiteering. It is being monitored by the state attorney general, who “may intervene on behalf of the public interest in charity,” court records show. Madina Masjid leaders would not comment, but a former member expressed concern about the continued upheaval in local mosques. “I’m very disappointed and disheartened. I just go to pray and stay clear of the egomaniacs and psychopaths who control the mosques,” said Amir Zaman, a Muslim owner of a small investment company in Houston. Calculating the number of American Muslims is a work in progress, with the Pew Research Center reporting nearly 2.5 million, while other independent studies tally worshippers at U.S. mosques at up to 7 million. 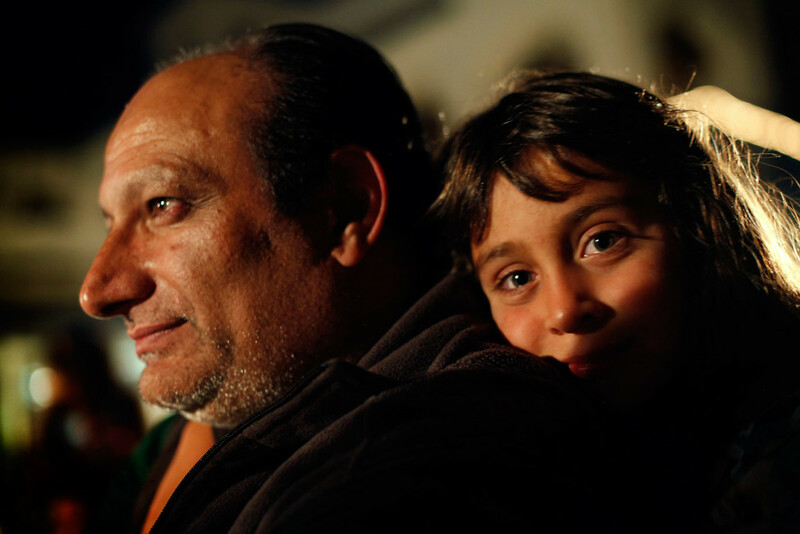 Farid Senzai, who has written several studies on Muslim Americans as a political science professor at Santa Clara University, suggests a middle ground: 4.5 million. There’s greater consensus on the increasing number of mosques: Since 2000, mosques and prayer halls in American cities and suburbs have doubled from about 1,200 to 2,500. That surge reflects not just a growing Muslim population, but also a common response to disputes: When groups disagree, they split into factions, and one opens another mosque, Senzai said. The divisions can be based on religious differences between progressives and conservatives or on language barriers, ethnic rivalries or gender conflicts. “All are interpretations of how Islam should play out in America,” Senzai said. Atif Mahmud, a Houston filmmaker who is Muslim, produced the documentary “UnMosqued,” which examines attitudes toward gender and inclusion at dozens of American mosques. In his research, Mahmud found mosques that were fighting the male status quo, with more women on boards and in prayer halls, and becoming more tolerant of various sects. 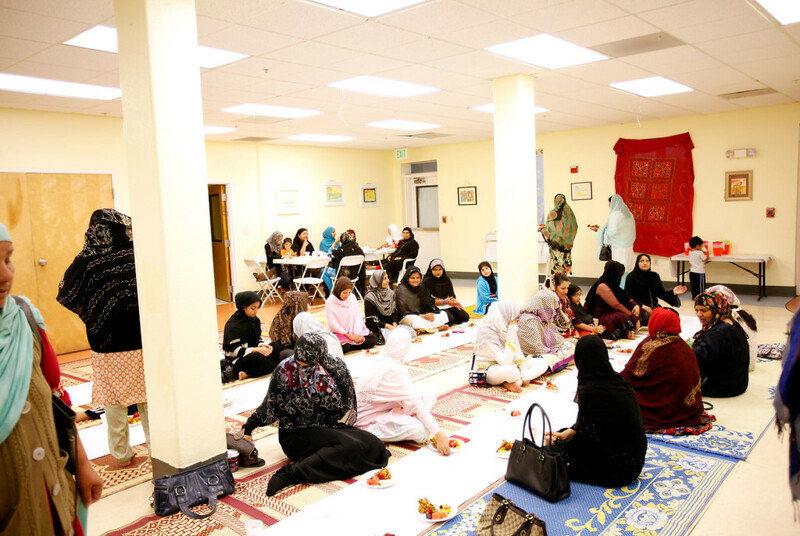 The first women’s mosque in the U.S. opened in Los Angeles in January. With such seismic shifts come inevitable backlashes. In Fremont, the new board took over the $20 million mosque after accusing the old board of rigging elections by creating ghost members to vote by mail. Khan claims he and his supporters held their own elections and won twice – once in 2013 and, after the new board jettisoned three former board members, again in 2014. The ousted members denied that they had tried to manipulate the earlier elections and fought back, declaring the latest elections illegal because at least 500 members weren’t allowed to vote. Some worshippers say ethnic tensions have added fuel to a conflict that’s fundamentally over power and money. Khan is an ethnic Pashtun from Pakistan, while a majority of the former board members are non-Pashtuns from Pakistan and India. Khan told Reveal that the new board spent more than $100,000 of donor funds on legal costs; the old board members said they paid an additional $50,000 in legal fees using the mosque’s insurance policy. Most of the donors and worshippers at a recent Friday prayer service said they knew little about the internal dispute. Umair Khan, a banker and congregant not related to Waqar Khan, has donated to the mosque regularly over the years. He was surprised to learn money was going to court battles. After mosques hire lawyers, they encounter the difficult task of converting religious battles into secular ones. Otherwise, courts dismiss these cases on a basic constitutional principle: the separation of church and state. Ideological battles may become real estate, contract or membership disputes – though some Muslims argue that few of these clashes are purely ideological. The council serves as a mediation organization for mosques through a process called “shura,” an Arabic word describing a collective consultation. Inamdar said the council cannot enforce decisions the way courts can, through law enforcement. She suggested that might be why legal battles have become more common. Fellow council board member Iftekhar Hai agreed. Like other religious institutions, mosques are nonprofits. So the face of the legal conflict is corporate governance, and evidence has to include violations of corporate codes. When these cases land in their courtrooms, American judges often try to steer away from evidence of religious and ethnic rivalries or the clandestine tactics of one sect to take over mosques from another. But whether or not judges are comfortable with it, they often end up wading through the religious details of the conflicts, said Weiss, the lawyer representing former board members in the Fremont case. That situation threw Florida Judge Richard Nielsen into the national spotlight. In March 2011, the Hillsborough County circuit judge was criticized by conservative bloggers for citing Islamic law in ruling on a civil dispute over control of $2.2 million between former and current trustees of the Islamic Education Center of Tampa. An Islamic scholar had mediated before the lawsuit was filed in court, and Nielsen initially supported the scholar’s decision in favor of the plaintiffs. “Once such matters are decided by an ecclesiastical tribunal, the civil courts are to accept the decision as binding on them,” Nielsen said in his first written opinion. Paul Thanasides, the attorney for the mosque – the defendant in the case – appealed, asking the judge to dismiss the case. After nine months, Nielsen reconsidered his involvement, dismissing the case on the basis that courts should not intervene in religious matters. The mosque ultimately settled the dispute, not through the courts but through Islamic mediation, according to Thanasides and Lee Segal, another lawyer in the case. 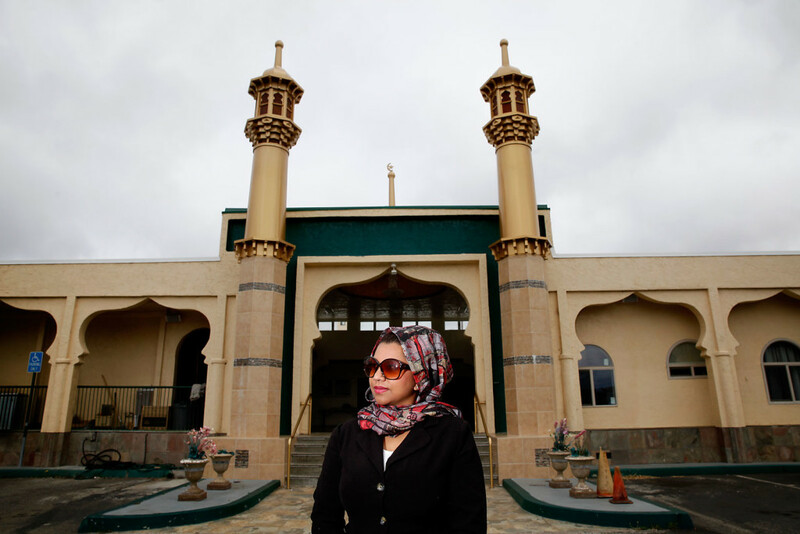 Perched on the hills of South San Francisco, the Fiji Jamaat-ul Islam of America is nearly 40 years old, making it one of California’s older mosques. A group of Fijians built the mosque, complete with golden minarets, a traditional courtyard and a green dome. They were Sufis, who believe in revering Islam’s Prophet Muhammad and finding love through God. In the beginning, entire families came to pray the mandatory five times a day. Cultural events and transcendental chanting called “dhikr,” a practice in mystical Islam, helped make the mosque their community home away from the island nation of Fiji, where Muslims are a minority. The harmony lasted 20 years, according to Sufis who founded the mosque. Serious tensions began in the 1990s as more Fijians turned against Sufism and embraced conservative branches of Islam, such as Deobandism, said Rocky Buksh, a newspaper publisher and Sufi whose relatives were founding members. Mosque leaders bickered, and other conservative Fijian Muslim sects joined the board, mosque worshippers say. Today, Sufis no longer control Fiji Jamaat. A conservative Fijian group led by Abdul Khalid and his family took over the mosque in 2007 following a complicated court battle. Now, Sufis who attend the mosque must follow conservative strictures on prayer. They no longer are allowed to do their transcendental chants or host cultural events in the prayer hall. Khalid, the mosque president, told Reveal that chants and cultural events should take place outside the mosque. Over the last two decades, 18 civil lawsuits have been filed against or on behalf of the mosque in San Mateo County. They expose tensions over myriad issues, including missing funds, religious differences, rigged elections and membership. Some cases have been dismissed on grounds of separation of church and state or statutes of limitation. Two Sufis won back their membership in 2008, but other cases have favored the conservatives. At the heart of the conflict is guardianship of every aspect of the multimillion-dollar mosque, Fiji Jamaat worshippers say. Hai, the mediation council member, said whichever group has had control of the mosque in the last 20 years has wanted absolute power. The last lawsuit was filed five years ago by 23 Sufis seeking to regain official membership and voting power in the mosque. The petitioners sued Khalid and his board after they received letters informing them that their membership applications were “on hold” because “the Board has identified you as a signatory of an unlawful restraining order against the incumbent Board members,” court records say. In all, about 80 membership applications had been rejected. Since then, the lawsuit to regain voting power has become irrelevant. The current board, with Khalid as president, has changed the mosque’s constitution so that elections no longer are held. Board members stay in power for as long as they want. Dozens contacted in the Sufi community declined to comment on the record, saying they fear more disunity or repercussions from conservatives. Buksh and others claim members of the current board called the FBI to accuse them of crimes they didn’t commit, including terrorism, to dissuade them from continuing their court battles. A 2009 Fiji Jamaat newsletter called the dissenters “renegades” committing the “act of terrorism” for taking the mosque to court. Khalid denies calling the FBI. But some Muslims at a Friday prayer said the vice president of the mosque threatened to call “friends in the FBI” if any worshippers balked at board decisions. Calls to mosque officials were not returned. Ahmad Khader, who attended the May 1 prayer at Fiji Jamaat, said he was shocked by the vice president’s words. “This is not how we treat each other as brothers. It was intimidating,” he said. One Sufi who has been trying to bridge the divide, Mohammed Salim, said the schisms brewing for years also focus on an unresolved legal issue involving a particularly emotional topic: burial plots. Mosques typically buy plots from local cemeteries, then sell the gravesites to members. At Fiji Jamaat, the Sufis have accused the conservative board of taking back graves they already had purchased. Salim obtained a scribbled letter from Khalid promising him his plot, but said he’s afraid the grave may have been resold to another family because the mosque has not finalized the transaction. Skylawn Funeral Home officials confirmed that they sell land directly to mosques but said they do not release clients’ information, including about who is buried in individual graves. Khalid said the Sufis can have the plots that they claim are theirs if they can show proof, adding: “These records were taken home,” leaving nothing in the mosque “to prove who has bought which plot.” The Sufis claim that they already have given that proof to the new board: lists of names, how much they paid and when. Although the disagreement is shaping up as a textbook legal battle, the dispute over the plots has not made it to the courts. But Fiji Jamaat’s lengthy litigious past may be the strongest evidence yet that it, like other mosques, is adopting American practices. Christian churches and other religious groups have taken their conflicts to court for centuries. Yet while courts can resolve corporate violations, many Muslims believe they do nothing to unite a transitioning, diverse community finding its place and voice in secular America. Nazrana Nisha, a Sufi who was ousted from Fiji Jamaat and who once broke up a physical altercation between rivals at the mosque, said that in particular, the court battles cannot resolve intolerance among Muslims in some sects. But Khan is not ready to give up. Correction: A previous version of this story incorrectly stated the circumstances surrounding Waqar Khan's election to the board of the Islamic Society of East Bay. Khan claims that he was elected twice. This story was edited by Amy Pyle, Robert Salladay and Robert J. Rosenthal and copy edited by Sheela Kamath and Nikki Frick. Fariba Nawa can be reached at fnawa@hotmail.com.